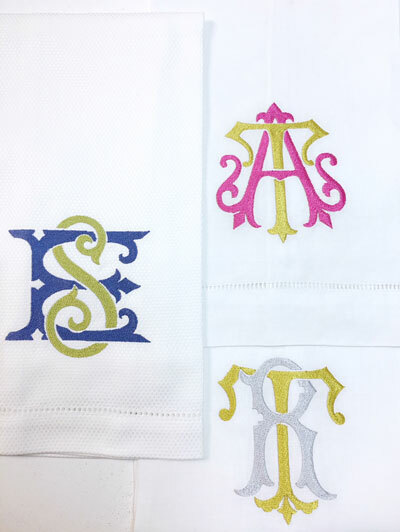 Vintage style custom embroidered monogrammed guest towels on our Signature white linens. These monograms use two letters with very fine stitching. A truly elegant statement for any powder room, or makes a perfect gift for the bride, attendants or hostess gift! Perfect holiday gift! Table cloths and table runners also available on request. A monogram sketch rendering is available with your order. For a sketch only, please order below.